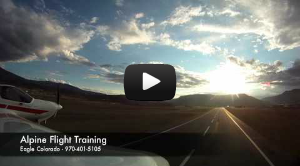 Alpine Flight Training, a flight school operating at Eagle County Regional Airport, provides flight instruction in accordance with FAA Part 61. Every element of our operation emphasizes safety. We operate a modern Diamond DA-20-C1 aircraft under a rigid maintenance program. The Diamond DA-20-C1 is touted as having the best safety record in the business as well as excellent economy. For many years now, we have successfully provided flight instruction in the Colorado Rockies and the Western Slope of Colorado. With a good deal of intuition and patience, we prepare our students for the FAA Written Exams and Checkrides for Private Pilot, Commercial Pilot and Instrument Rating, Certified Flight Instructor, Instrument Instructor and Airline Transport Pilot. Our extensive training programs familiarize first-time fliers with aerodynamics, aircraft systems, airspace, a variety of flight maneuvers, and every other aspect necessary to become a safe and proficient pilot. Pilots seeking advanced ratings find our staff to be knowledgeable and skilled at helping them develop into true flying professionals. Our friendly and professional staff is available 7 days per week by appointment. Our flight instructors are patient, friendly, and highly skilled professionals. Loren has worked in a variety of different aviation businesses of the last 15 years. Prior to living in Gypsum and operating Alpine Flight Training he worked for Eclipse Aviation in Albuquerque New Mexico developing both the Eclipse 500 aircraft and the Eclipse 500 training program. Loren holds an Airline Transport Pilot (ATP) in single engine land aircraft, a commercial license in multi-engine land aircraft, single engine seaplanes, and gliders. With over 3000 hours of instruction given, Loren holds instructional ratings for single engine and multi-engine airplanes, and instrument airplanes as well as ground instructor certificates for advanced and instrument ground instruction as well as seaplanes. Loren is a Gold Seal CFI and NAFI Master CFI. Loren originally learned to fly at Eagle County Regional Airport in 1995, and the bulk of his 3900 hours of time has been flying and teaching in the Colorado Rockies. In addition to instructing for Alpine Flight Training, Loren is a member of the FAAST Team (FAA Aviation Safety Team). 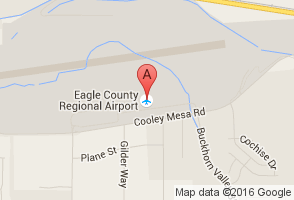 Alpine Flight Training is conveniently located at the Eagle County Regional Airport. We are a short driving distance and the best location of choice for leaning to fly in the Vail Valley, Vail, Beaver Creek, Gypsum, Minturn, Eagle, Avon, and Edwards.